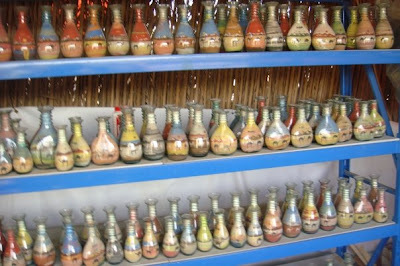 I met this incredible artist who does this sand art in bottles... the sand is coloured and he pours it into the bottle and using a very thin stick, moves the sand around to create shapes - he's amazing! 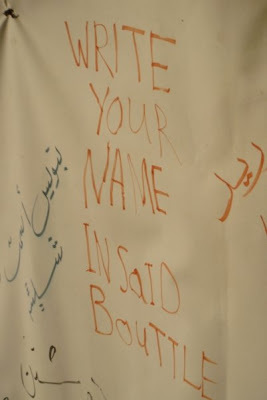 "Write your name inside bottle" ? 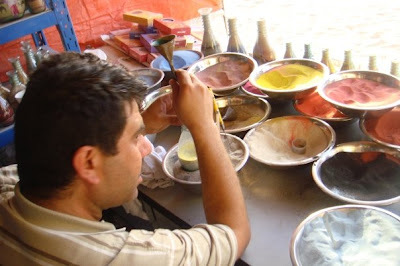 The person that you meet who does sand art, who is he and how can I get in touch with him? 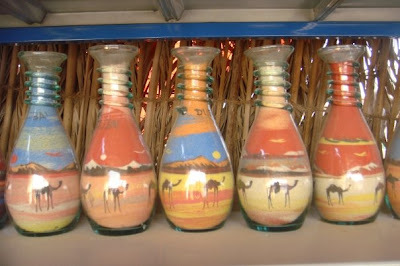 I have 20 year-old twins that I would like to get a sand art name plate because they are my heart and joy.